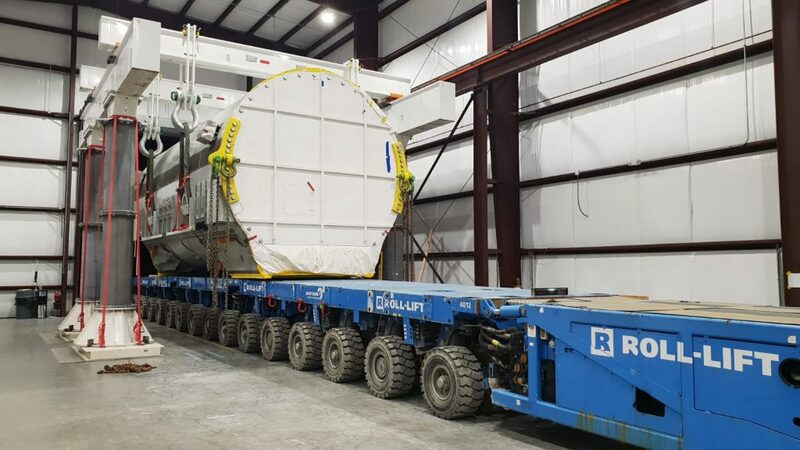 Global Cargo Care was involved in the exchange of two generators at the Comanche Peak nuclear powerplant in the US. After months of pre-planning, a state of the art strandjack gantry system was developed and build by Enerpac, Hengelo. The system was tested and approved by Lloyd’s Register. The 388mt ‘old’ generator was lifted from its foundation by the strandjacks and skidded about 60mtr towards the crane bay. Here, the old generator was loaded on a 4-file, 10 axles SPMT controlled by Barnhart. Once completed within 24 hours, a new generator was lifted from a second SPMT, skidded and lowered onto its foundation. The entire project was controlled by SIEMENS US in close collaboration with SIEMENS AG Germany, Engineered Rigging and Global Cargo Care. After part 2, scheduled for March 2019, the nuclear powerplant is able to produce energy for the next decades.